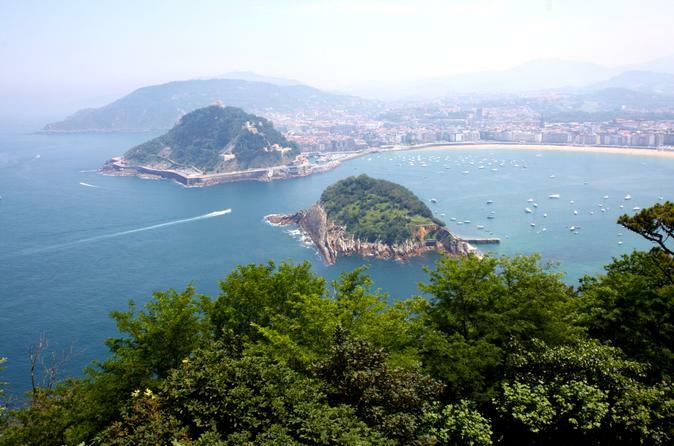 There is no better way to see San Sebastián than on a double-decker, hop-on hop-off bus! See top San Sebastián attractions on this comprehensive sightseeing tour, such as Miramar Palace, Playa de la Concha beach and much more. 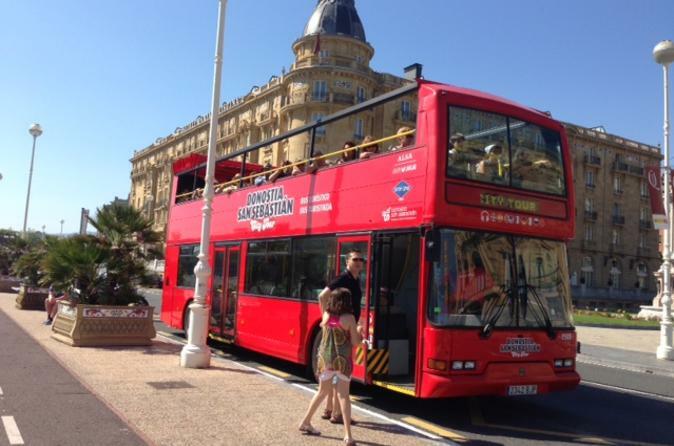 The buses are open top, allowing you to enjoy 360-degree panoramic views as you travel along your route. 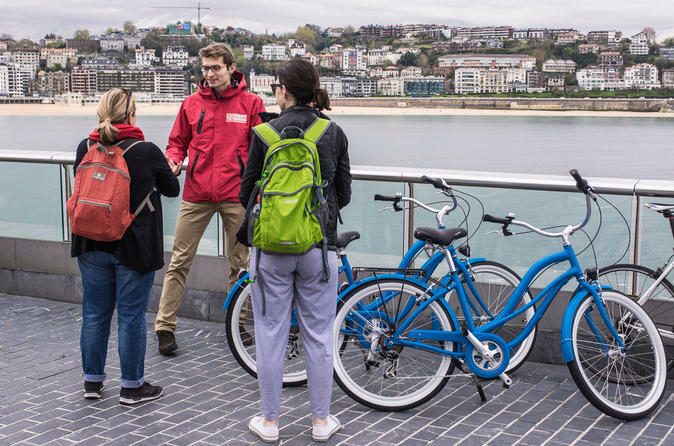 Hop on and off as many times as you like at any of the 29 stops around the beautiful Basque city for 1 day of sightseeing! Wine and dine like a local on this 3-hour small-group ‘pintxos’ (Basque tapas) tour in San Sebastián. Head to San Sebastián’s famous Old Town, Parte Vieja, with an expert guide to hunt down the most delicious pintxos in town. 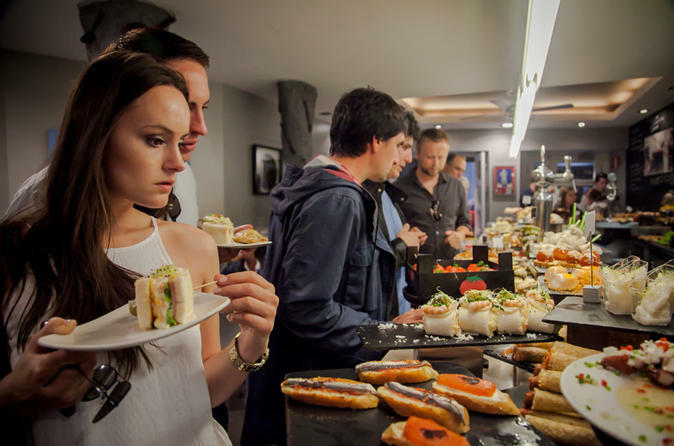 Visit six of the most exciting pintxos bars in the city, from classic traditional haunts to chic nouveau Basque bars, and taste an array of tantalizing pintxos, paired with a refreshing glass of cider or local wine in each venue. Numbers are limited to 10 on this small-group tour, ensuring an intimate dining experience. 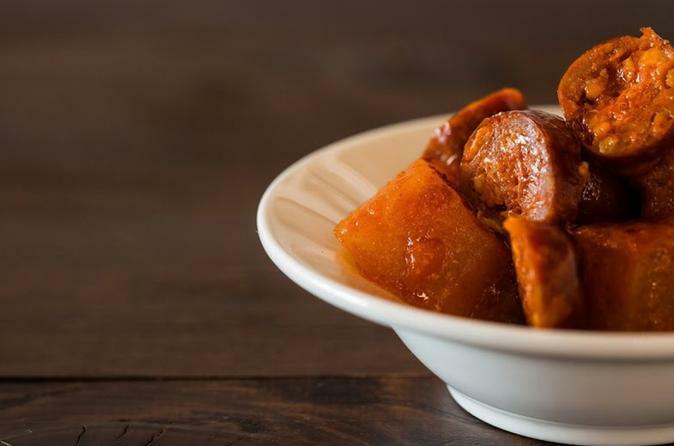 Become a master of Basque cuisine with a 4-hour cooking class in San Sebastián. 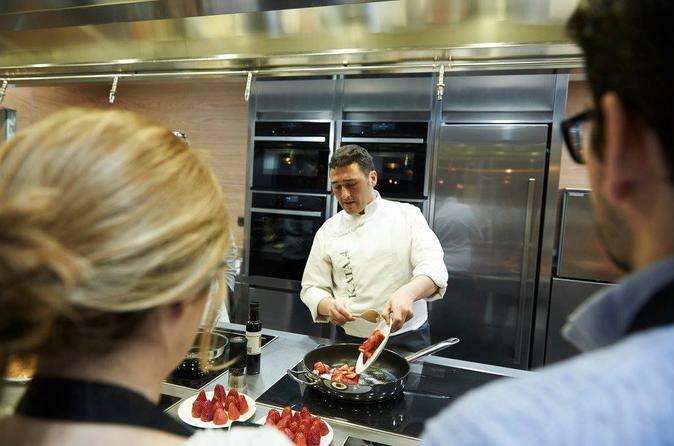 Renowned for its culinary delights, San Sebastián boasts more Michelin stars per capita than any other city in the world, so what better place to learn to cook? Using only fresh ingredients and receive hands-on instruction from an expert chef on how to prepare 'pintxos' (Basque tapas) or Basque cuisine: the choice is yours. What do you get when you mash up history, art, and culture, add a sprinkling of beaches and palaces, and mix it all up with some Basque charm on two wheels? On this bike tour you will ride all through San Sebastián. You will be taken through neighborhoods, from the touristy areas full of history to the workers district. 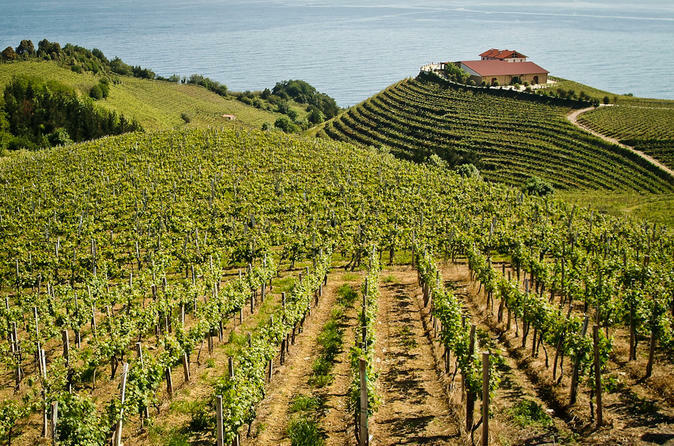 Head west from San Sebastian along the beautiful Cantabrian coast, and visit the charming village of Getaria, home of the crisp, effervescent txakoli wine. After touring the oldest family-run txakoli winery, join the vintner in tasting the current year’s offering alongside artisan house-made conserves. This small-group, half-day excursion also features a visit to the museum dedicated to the fashion designer Cristobal Balenciaga, a stop in an artisan salt-cured anchovy workshop, and a stroll through the narrow streets of this enchanting seaside town. Typical Cider House Menu in Astigarraga and visit to Cider Museum (traditional cider house and full 3 course lunch). 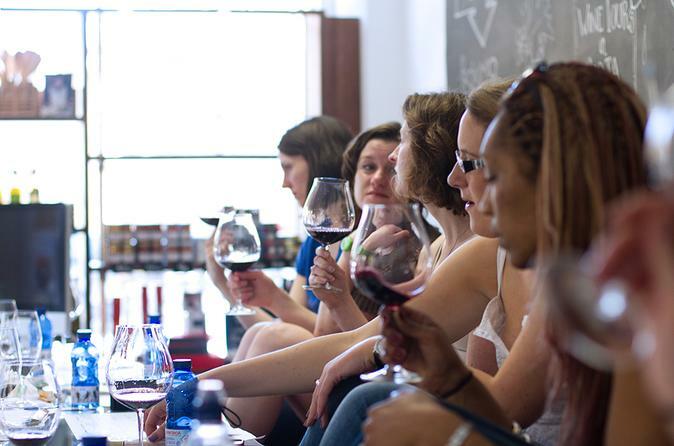 Discover the exciting world of Spanish wine during a 1.5 to 2-hour wine tasting in San Sebastián. Taking place in the city centre, the experience is led by a local wine expert with a wealth of knowledge about Spanish winemaking. Sip on eight glasses of wine from around the country, accompanied with delicious local produce and receive tasting and regional notes to keep as a souvenir! Numbers are limited to 10 people, ensuring personalized attention at all times. 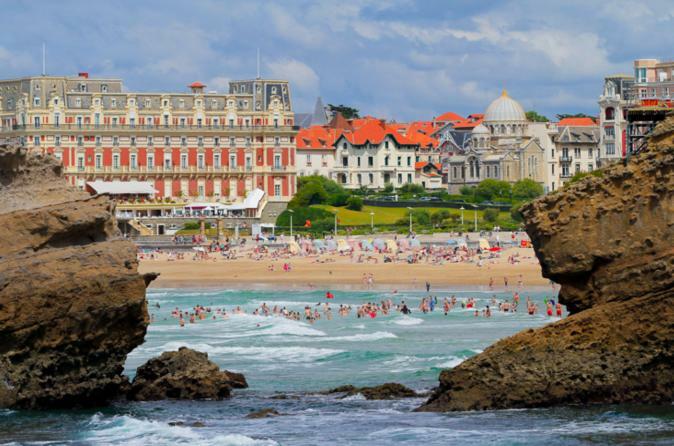 You're invited to discover the French Basque coast from the town of Hendaye to the impressive city of Biarritz. We'll visit Saint Jean de luz, Biarritz and finish in Hondarribia, the jewel of the Cantabric Coast. Enjoy a fantastic day along the basque coast with one of our professional guides. The Run For Fun tour will take you all along the coast of San Sebastián. We will cross the three urban beaches of the city, while we experience how each of them means something different to inhabitants and how each district has its own character. We will feel the most relaxing part of the city, where locals go to forget about everyday work by feeling the braveness of the ocean. 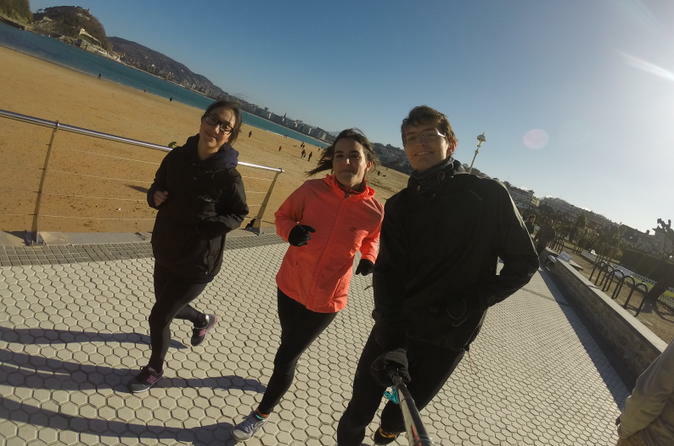 This is also the sunbathing area of San Sebastián, as well as the sporty area of the city, where runners, bikers and walkers go to spend their leisure time. 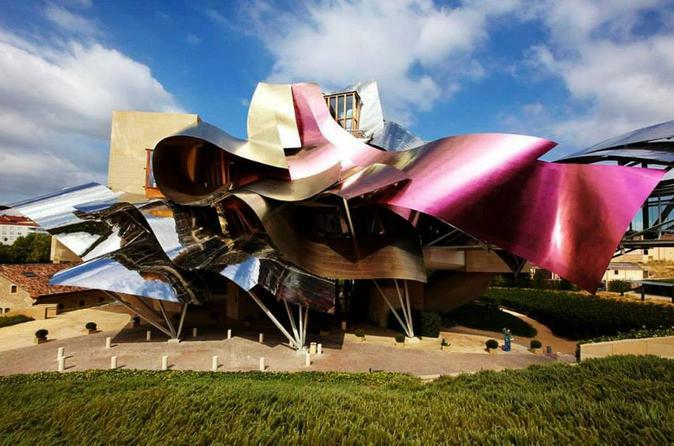 This tour will run around the Basque wine region called Rioja Alavesa. This area is home to the best wineries of Rioja. Is not only the wine, along the way you will find amazing historical places. The St. James route passes through the area with Medieval villages which will be the subject of a few stops. Also along the way, art, culture and the best that Spain has to offer. 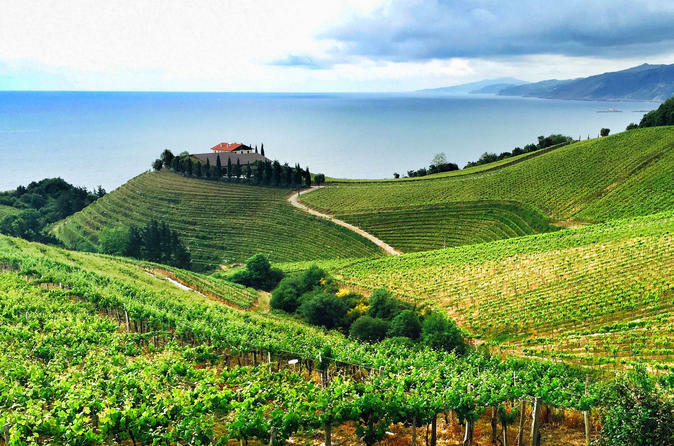 Embark on a private gastronomic tour traveling to Idiazabal, the mountain village where the famous traditional Basque cheese is produced and end the tour in a winery to sample txakoli, the locally grown wine. We start from Donostia / San Sebastian and we will travel to the village of Idiazabal, visit the museum and walk around the area to visit a traditional farm of this famous and recognized cheese. 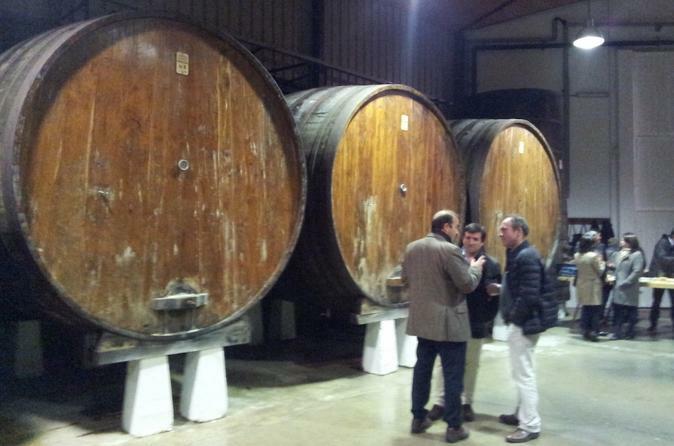 After a varied cheese tasting we will head for the fishing town of Getaria, we will visit a txakoli winery. At its most basic, a pintxo is a small bite—but with a world of knowledge, tricks and tips behind its preparation. 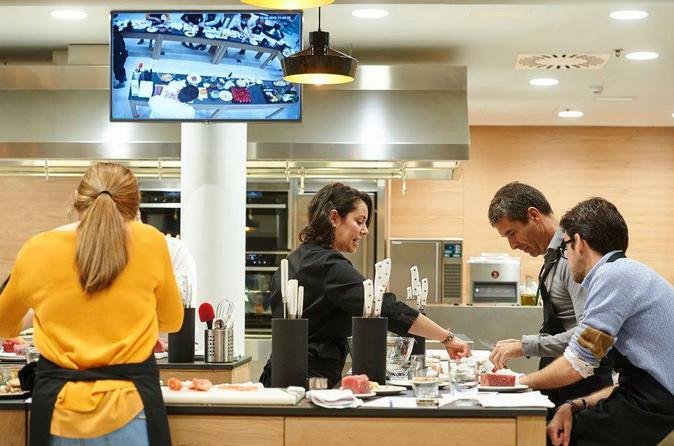 From the simple gilda, the city’s emblematic pintxo, to the elaborate creations that inspired by avant-garde cuisine, the world of pintxos is demystified and made easy and fun in our cooking school. 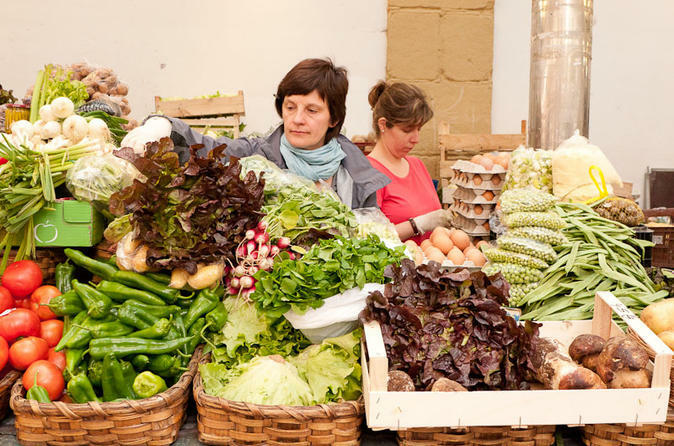 The culinary traditions of French Basque Country, Navarre, and La Rioja Alavesa taste of smoky spices, earthy stews, and the freshest of vegetables. In this culinary journey, you will learn to prepare the famous Basque dishes from Southern France to the mountains of Navarre to the vineyards of La Rioja Alavesa. Bring the history and traditions of Basque Country to life in this hands-on cooking class. 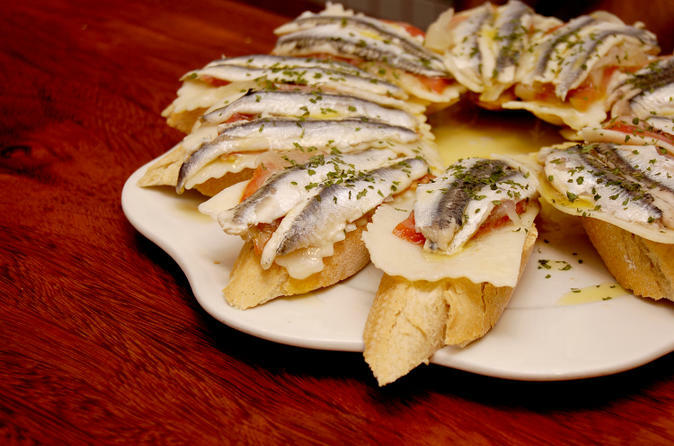 Finding (and eating) the best pintxos in town is a local sport, and in this class, home cooks learn how to replicate these sophisticated snacks at home. Let us guide you on a cooking journey through the recipes of the most famous streets and bars of San Sebastián’s Old Town.